Hybrid algorithms with different features are an important trend in algorithm improvement. In this paper, an improved grey wolf optimization based on the two-stage search of hybrid covariance matrix adaptation-evolution strategy (CMA-ES) is proposed to overcome the shortcomings of the original grey wolf optimization that easily falls into the local minima when solving complex optimization problems. First, the improved algorithm divides the whole search process into two stages. In the first stage, the improved algorithm makes full use of the global search ability of grey wolf optimization on a large scale and thoroughly explores the location of the optimal solution. In the second stage, due to CMA-ES having a strong local search capability, the three CMA-ES instances use the α wolf, β wolf and δ wolf as the starting points. In addition, these instances have different step size for parallel local exploitations. Second, in order to make full use of the global search ability of the grey wolf algorithm, the Beta distribution is used to generate as much of an initial population as possible in the non-edge region of the solution space. Third, the new algorithm improves the hunting formula of the grey wolf algorithm, which increases the diversity of the population through the interference of other individuals and reduces the use of the head wolf’s guidance to the population. 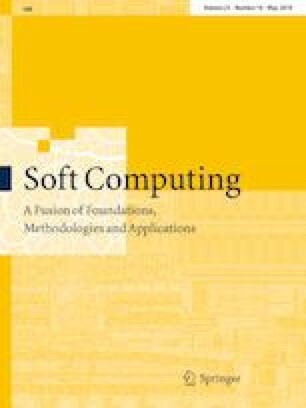 Finally, the new algorithm is quantitatively evaluated by fifteen standard benchmark functions, five test functions of CEC 2014 suite and two engineering design cases. The results show that the improved algorithm significantly improves the convergence, robustness and efficiency for solving complex optimization problems compared with other six well-known optimization algorithms. The authors would like to thank the anonymous reviewers for their valuable comments and suggestions to improve this paper. This work is supported by the National Natural Science Foundation of China [Grant Number 51774219] and the Science and Technology Research Program of Hubei Ministry of Education [Grant Number MADT201706].